I was driving to Green Bay to work this morning, N down HWY 41 near Wrightstown, which is right between Brown and Outagamie counties. At approximately 7:08, I noticed a silver, very bright, oval shaped object suddenly appear to the right of the HWY. Somewhat like a disc. I would guess it was less than a mile away. It was fairly low, but higher than treetops, power lines, overpasses. It appeared to be reflecting the sunlight. It seemed to appear out of nowhere, and was a very bright flash in the daylight, so it caught my eye. It hovered for a few seconds, moved slightly to my right, then slightly left again, then disappeared. I blinked several times, somewhat in disbelief, and thought it was odd the way it appeared, then disappeared. I kept leaning down to look out my windshield, thinking maybe it was at a different angle, and wasn’t so bright without the sun reflecting, but could see nothing. Not even a speck. The sky was fairly clear. There were clouds at higher altitude, but at the elevation it was seen, there was clear, blue sky. Not even a speck. A few seconds later, it reappeared, just as bright as before, but slightly closer. It’s difficult to judge the distance it may have moved, because I was also driving toward it, and with it disappearing, I didn’t witness the movement. It seemed to hover again for a few seconds, and disappeared again. I wasn’t able to see it after that. I was driving at approximately 75MPH, and it happened so quickly, that I wasn’t able to get a photo or video. Green Bay is Austin Straubel Int’l Airport (GRB), so I thought “it was probably a plane ascending”, but I see planes on a daily basis, at different times of the day, and I’ve never seen them that bright, nor disappear then reappear. When you see a plane ascending during daylight, it generally isn’t reflecting light, you can generally see the clear shape of a plane, and see it the entire time, heading in one direction at a steady pace until it moves out of sight. I found it striking enough, that when I got to work about 20 minutes later, I checked GRB’s flight schedule. There was a Delta flight that took off at 7:06, which I did rationalize in my head as being the right time to be the object, but had that nagging thought of “Delta’s planes are white (I fly Delta), and wouldn’t flash that brightly”. This appeared to be thicker, taller, have more mass, and far more surface reflection than a plane. I decided to text my husband Mike, because he was probably .5-1 mile ahead of me, as we left for work at the same time, and travel the same HWY for our commute. Here is our conversation: Me: “Did you see a plane this morning? I swore it looked like a UFO.” Mike: “I was thinking the same thing! I saw a bright ball of light, then it was gone, then I saw it again, then it was gone. Really Weird! This looked more like a fat, silver disc. If the sun catches a plane, you should still be able to see it when it changes angle. It shouldn’t have disappeared.” Mike: “The headlights on that thing were different than big planes. It was coming toward me and that was the only light I could see. I didn’t see colored warning lights.” Me: “I thought it was just shiny. Couldn’t tell it was lighted. We should call MUFON.” I was joking, but clearly…after thinking more about it, I find it to be serious enough to actually fill out this report. Mike: “That’s all I could see was the light. Funny that we both saw it and questioned what it was.” Me: “What was weird was the way it moved and that it disappeared and reappeared. Otherwise, I wouldn’t have questioned it much.” Mike: “The disappearing thing caught me searching around too. If I didn’t have to get to work I would’ve pulled over & investigated.” I’ve seen countless objects and lights moving in the sky, and occasionally ask myself “could that have been?”, but never have I thought it was valid or strange enough to tell anybody about it, and certainly not fill out a report. Note: I’m listing one witness below, in addition to me, as my husband was driving the same HWY and saw it, but there were hundreds of cars in traveling the same HWY, so I’m sure others saw it as well. NOTE: The above image is CGI. My father was stationed at Federal Penitentiary outside of Boron CA. (Generally the federal government assigned former military outpost or government related properties to serve as federal penitentiaries.) We lived in the former military housing of this once radio communications transmission outpost for Edwards Air Force Base. We were 33 miles from Edwards. It’s now abandoned. One afternoon in the fall of 1979 I was walking home from the bus stop with my sister to discover a extremely large very low flying ‘ship’ moving toward us from the west and hovering directly above our house. It was a massive ship and shaped like the tip of an obselisk and MASSIVE It was so close I could see clearly the underside of the ship. The ship was black, the surface was textured like sand. The underside of the ship had recessed symbols and shapes; trapezoids triangle and other geometric patterns that looked hieroglyphic. The ship was massive. It was larger than our home and made no sound at all. My sister and I stared at it for about 35 seconds. The ship then ascended directly up words slowly by about 50 feet then slid back towards the west and 50 feet then zagged to the right or east another 75 feet or so. It then shot to the north east like a bullet. My sister and I waited to hear the sonic boom as we were accustomed to seeing the space shuttle maneuvers. We never heard it there was no sonic boom and at that speed it should’ve generated one. About 10 years after that event I met Chuck Yeager through one of my former classmates whose father served and was very close to Mr. Yeager. After I described to him in detail what I saw he answered me saying it was probably the Harrier AV-8B at which I laughed; it wasn’t remotely similar. I can send to you a Google Maps pin drop of the exact location/house of where I saw the ship Thank you for your time. Feel free to contact me if you have any questions. NOTE: The image is my CGI. In 1974, the Betz family made as startling discovery that took the world media by storm. 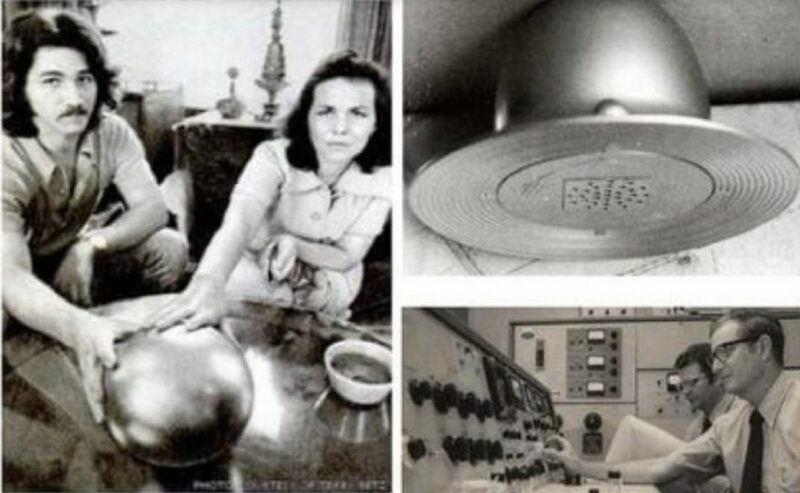 But no one knew what this mysterious metal ball was, which has become known as The Betz Mystery Sphere. Fire ravaged 880 acres of a woodland property on Fort George Island, Florida that had a history going back to the 16th century, where a Spanish mission had once been located. While Antoine Betz a Marine Engineer and his wife Gerri were examining the fire damage to their property, they came across a strange sphere on the ground. At first they thought it may have been cannonball given the areas history but they soon realized by the highly polished metal surface of the seamless or this was something different. They then thought maybe the space aged looking object could have fallen from a NASA or Soviet satellite, flying above and somehow landed on their property. Thy mysterious orb was about the size of a bowling ball and weight 22 lbs; but the unusual thing was that it had a strange elongated triangle, that was etched on the surface. Seeing it as only a strange curiosity, the family decided to take it home with them and their son Terry, wanted to keep it in his room but that did not last for too long. A couple weeks after the unusual find, Terry was playing his guitar and to his shock, the metallic orb started to react to the sound of the strumming. According to his testimony, the sphere resonated out a deep throbbing noise that seemed to greatly upset the family dog. Then it began to move to certain chords being played. It didn’t take long before the Betz family discovered that the strange object had other strange characteristics. When they pushed it across the floor, it would stop, vibrate then suddenly change direction and return back to the person who had pushed it. They also saw it roll around the edge of the table finely balanced but it did not fall off onto the floor. On one occasion, they tilted the table at an angle, then saw that the sphere defy gravity and travel back up the leg of the table. The family also claimed that it rolled for approximately 12 minutes continuously, while changing direction by itself but never once stopping. They considered all options and decided that it may have been fitted with a very sophisticated guidance system that allowed it to do this. HOW WAS THE BETZ MYSTERY SPHERE POWERED? From what they had observed, the strange orb seemed to be powered by solar energy (even though solar energy was first discovered by Alexandre Edmond Becquerel in 1839, it was not in commonly used in 1974). They noticed that when the sun was shining brightly the orb was more active. Terry who had a curious nature, decided that he would do some tests of his own to try and work out what this strange object was. First he gently hit the sphere with a hammer, which resulted in it ringing like a bell. Then he shook it vigorously and the orb suddenly rolled around the room as if trying to escape from him. It is rumored that at night the Betz family would keep it in a sealed box so that it would not escape. Occasionally the orb would emit a rattling or low frequency vibration, as if there was some sort of mechanism running inside. The Betz family were stunned at the sphere’s capabilities and started showing it to family and friends they were equally shocked and it rapidly became an object of fascination. Word soon got around about the Betz Mystery Sphere and quickly it started a media frenzy everyone wanted to know about this strange ball. Both officials from NASA, The Military Corp and Arial Phenomena Research Organization (APRO) were sent out to see the sphere. They examined the steel object and could determine that there was no indication that it was manufactured or tampered with. The military personnel would arrive skeptical onlookers, but by the time they left, were full of questions. Despite requests from officials to take the ball to a lab for testing, the Betz family refused but soon they had no choice. Soon the sphere started to exhibit strange and almost poltergeist behavior. Doors would suddenly slam shut of their own accord and at night the house would fill with loud organ music despite the fact that the Betz family did not own an organ. This quickly became too much for the Betz family, so they agreed to allow the orb to be tested under scientific conditions they wanted to know what this was? The orb was taken to Jacksonville Naval Air Station in Florida, where the sphere was given to both scientists and metallurgists to examine. They tried to x-ray the sphere to see what was inside, however x-ray machine was not strong enough to penetrate the metal, which they found baffling. They determined that sphere was 7.96 inches wide (20 cm) and 21.43 pounds (9.67 kilograms), which could withstand 120,000 of pressure per square inch. It was made of magnetic stainless steel of the excellent quality, designed to withstand the highest heat temperatures and was corrosive resistant. The navy eventually used a 300 KV x-ray and discovered 2 objects inside the sphere surrounded by a halo of material with unusual density. They also discovered that the spheres displayed 4 magnetic poles, 2 positive and 2 negative which did not have the same center. It also showed signs of being radioactive but it was not explosive and one scientist (Dr Carl Wilson) was noted as saying that it defies the law know to physics. Another scientist (Dr J A Harder) is reported to have said that the elements inside were heavier than anything known to science. 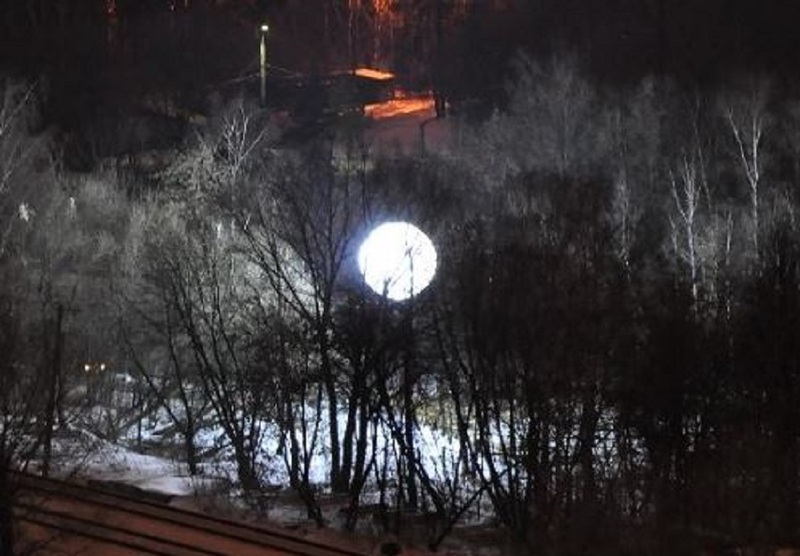 There have been people who have tried to debunk the Betz Mystery Sphere with many explanations ranging from: it was a lost steel ball that was meant to be used for an art project to a sea bottom marker that somehow got into their burnt out field. Since that time, other orbs have been found on earth since 1974 that include from Australia, Russia, Iraq and America but no one knows what they are or where they come from. Now over time no one talks anymore about The Betz Mystery Sphere but where is it now? No one seems to know and it has somehow disappeared from many people’s mind. A friend and I were on our way to Tesco, after which we were planning to go on to an evening picnic. When we made it to the carpark (facing tesco and the White Rabbit Pub), my friend pointed to the sky, and we both observed a disk like object pass from left to right. 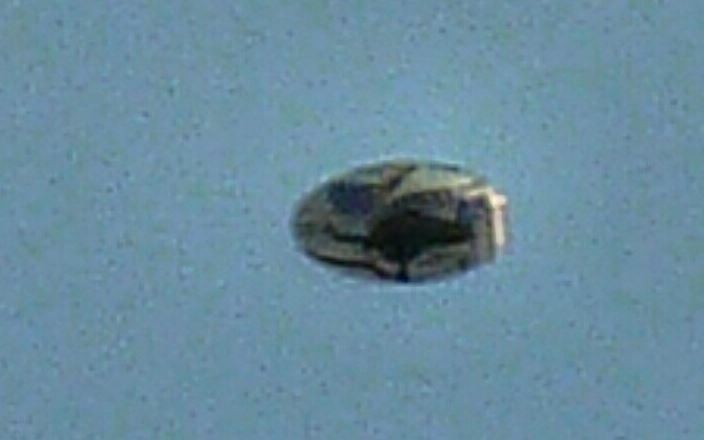 It was small, disk shaped object, that in fact looked a little like a flying saucer sweet! It was very fast, and maintained a strangely path. It was a dully blue on top, and a dull yellow underneath. The evening light seemed to shine off the bottom. I could not make out any windows, only a domed shape on the top and the bottom. It disappeared behind a building to our left and did not come out the other side. I can only assume it changed direction. My friend and I looked at each other, shocked! We could not believe what we had seen and started guessing at plausible explanations. We did not know who to go to until we found this site! We are planning to go back when university starts again to try and catch it again, and take a photo if we see anything. We were heading to a picnic to celebrate the full moon. We thought that maybe the full moon may have some connection to what we saw. We would love some feedback to put this idea to rest in our heads if this is possible! There were 6 of us canoeing late October 2015 on the Chiniguchi River System east of Sudbury, Ontario. We were camping at the North end of Dewdney Lake at about 9:00pm. I noticed a red light due south of us. The red orb was stationary but after about 10 minutes, it drifted to the west slowly then disappeared. I captured many photos with a 30x telephoto on my Canon. An airplane in the area is plainly visible with running lights and 2 searchlights. One photo shows camera shake. Another at low magnification shows the light reflecting off the lake. This is my third sighting of lights so there was no surprise for me. The others were curious but some discounted my UFO explanation. I farm and do carpentry, so I spend way more time outdoors than most, not including my canoe time. I also spent about 2 years working on and around aircraft, helicopters and fixed wing. This was neither. Surprisingly, the night before we camped about 15k south and a helicopter with searchlights buzzed our camp about 2:00am at low altitude. Is there a connection or just a coincidence? I saw an incredible light display about 25 years ago and finally saw a craft this July. I will file reports later. Hi Ken : I was at the Teign estuary sky watching looking towards Dartmoor when I spotted two large black objects that rose up from a distance field. The black objects then flew up into the sky where I was able to photograph them just as they were near a large cloud. I continued to watch as the black objects then flew away at great speed into the distance and then disappeared out of sight. I was facing the direction where the objects had disappeared into the distance when I then just happened to take another photograph and to my amazement I managed to capture two more objects that were cigar shaped. The two cigar shaped UFOs seemed to be on the same flight path as the original objects. 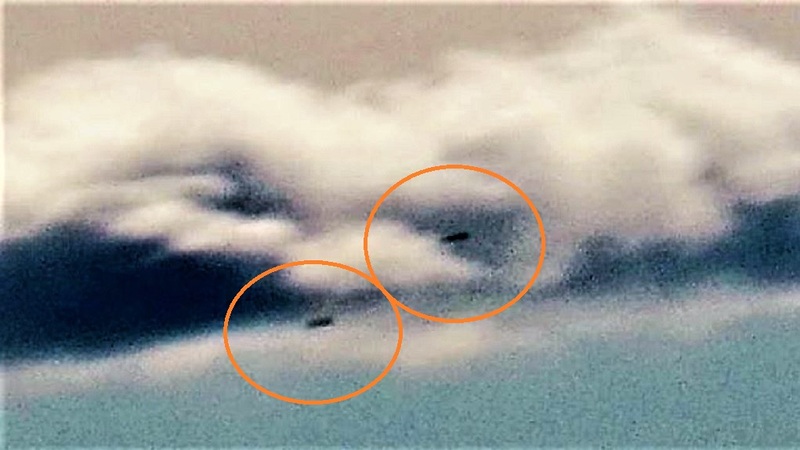 The photograph shows the two cigar shaped UFOs passing the same large cloud that the original objects had previously past. This is incredible… The Teign estuary is becoming a real hotspot for UFO activity just lately I wonder why? I can’t wait to do more sky watching from this location in the future. The photographs were taken on the 14th of July 2017, 6:40 PM at the Teign estuary Devon England. All the best John. The Ministry of Defense was aware of at least eight strange phenomena in Alicante’s airspace during the 1970s and 1980s. These cases were part of the Spanish Air Force’s (Ercito del Aire) UFO Files. Today, 80 of those files, which include the events at Aitana, may be freely perused in the Ministry of Defense’s website. The first UFO incident linked to the Escuadron de Vigilancia Area (Air Surveillance Squadron, EVA) in Aitana was dated July 28, 1975. A number of non-commissioned officers witnessed an object performing a fly-over of the EVA military facilities at 05:30 hours. The report discloses that shortly before the sighting, the radar had picked up a ‘motionless echo’ over the sea. On February 6, 1979 at 21:17 hours, EVA 5 picked up radar echoes over the sea. At that very same time, the fuel ship Tamames‘ witnessed ‘multiple lights’. The Ejercito del Aire’s report indicates this could have been a ‘parachuting’ exercise. A month later, on March 13, 1979, the Aitana Base’s radar picked up an ‘unknown echo’ heading toward the Iberian Peninsula. The Defense Ministry then scrambled a Mirage III fighter out of the Manises Base to find out what was taking place in Spanish airspace. There would be another scramble months later, this time from the Los Llanos airbase in Albacete. Captain Fernando Cmara took off in his Mirage F1 searching for lights reported by the pilot of a TAE Airlines flight from Mallorca to Tenerife, seen over the city of Valencia. The date was November 11, 1979 and it would become known as the Manises Incident, the most significant one in Spanish ufology. Another of Ministry of Defense file that has been digitized and is available for review concerns an incident that took place on April 26, 1986. An object was seen plummeting into the sea into the waters near Benidorm at 18:00 from the Sierra de Aitana’s EVA 5 facility. The Guardia Civil (state police) was advised and the military did not pursue the investigation. The last UFO case recorded by the EVA 5 facility took place on July 26, 1986 when radar picked up an unknown echo on the Baleares-Cdiz route. Among the declassified documents now available to the public we also find the letter written by a resident of Alicante on June 25, 1981 to the Spanish Air Force, advising it of a UFO sighting from the terrace at his place of residence. The citizen attached drawings of the alleged object to his letter, showing a boomerang-shaped object. Another of the Ercito del Aire’s digitized files concerns the sighting of “strange phenomena” during Iberia Flight 435 from Palma to Madrid on February 25, 1969. NOTE: The above mage is CGI. My name is Danny Cruz and this is a record of my account with Flying Saucers. It was July 19th ,2013 approximately 3:00pm in Covina, California. The flying saucer was silently and slowly flying over the homes of the street. I did not see the flying saucer descend from the sky it was already on a slow trajectory moving north. The flying saucer was designed out of blue and silver metallic material with a piece of the ship that stood out to me particularly. The piece of the craft that stood out to me was the blinking white light. The craft has a top down design and at the top is a half dome with a blinking white light. It helped me determine that the craft was not rotating as I had kept my sight on the craft the whole duration of it while within 20ft above me and as it continued north crossing the street from where I was standing. The flying saucer changed its trajectory soon after it crossed over me. The flying saucer began to ascend and started in a diagonal pathway in an eastward direction. At a certain point in the sky it began its way over the Foothills which is north of me. I kept my sights on it until it flew over the Foothills and I lost sight of it. While it was close to me I began sending telepathic messages to the pilot to see if I would get a response. I told them not to leave and that I believed they had something to do with everything about my life. That day was of particular importance to me and the flying saucer was a sign and an answer to my prayers. July 16th-21st, 2000 at Mammoth Mountain Inn, Mammoth Lakes, California, early afternoon, I teleported in the stairwells in the buildings from the East Wing to the West Wing of the Hotel which share no natural pathways with each other, approximately the same distance as the Flying Saucer was away from me is the distance that I teleported. Both teleportation events took place very close in time. It was silent and without interfering in my footsteps up or down the stairs. February 3rd, 2013, Orbs over Azusa, California, Super Bowl Sunday around noon. Two silver Orbs appeared together high in the sky over Azusa, California on Super Bowl Sunday while I was at the bus near Foothill and Citrus. I watched the two split off into different directions, while one continued to head eastward the other went on a diagonal South Eastwardly direction and that’s the one I kept my focus on while it headed towards the horizon. It was moving very fast I thought that it would be out of sight over the horizon in less than 10 seconds from when I first had my eyes on it. Just as it was about to cross the horizon and as I was begging to think that I would lose sight of it that it turned back in on the same trajectory 3 times faster than it was travelling just seconds before it began making its way back to where I had been standing. All of a sudden it was over me still high in the sky and the other one or another Orb appeared with it and they began to spin opposite of each other and equal distance apart at with a high velocity keeping the turning fast and tight approximately 6 times in a counter clock-wise direction and then they both disappeared. Telepathy, its blue and you see it with your mind’s eye, depending on its nature a part of it rests in the back of your brain and the rest of your mind is in a constant flux of the energy as it moves through you, it speaks on its own and the carrier intertwines their own thoughts with the telepathy. It is sometimes more crystalline and does not flow through the mind rather the mind vibrates with the telepathy and the carrier is speaking side by side with telepathy in an audible and observable phenomenon if any witnesses are there to see the person speaking with telepathy. The language is over 1,000,000 words that have the basis structures of the English Language that are recognizable such as assonance, consonance, and alliteration. Telepathy conveys the message of creation to the carrier. The phenomenon associated with the message is manifest on the conscious level to whatever degree he perceives himself to be creator over the universe and have the ability to manifest a creation with the power and meaning of Words. White Light shined down from the apex of the north western part of the sky from my observation point, it was in Glendora, California, in my backyard, on my trampoline with 3 of my friends spending the night, around 2:00am. The 4 of us were in Junior High School camping in my backyard when a white light beamed down from the sky and stayed over my backyard over my rooftop. The Flying Saucer shares the same accidental information as far as size, shape, proximity, silence, duration of proximity. It leads me to believe that these craft can zoom down from Deep Space or Low Orbital Space with great precision and speed along with the ability to stop in an instant and turn back to where they came from quickly. Our shared testimony to this day is that we all tried covering our eyes from the light, that we were unable to move, the first thing we did for ourselves was to see if any time had passed. We asked ourselves this question and went to the street to check on her car; Nikki was a high school girl hanging out with us Junior High Boys. Nothing changed; we never spoke about it with each other again at school for some reason. It was years later that we had called each other to talk more about it. We have all talked about it and have had a lot of difficulty handling life in general for some reason. We all have very traumatic life stories. NOTE: The above saucer image is CGI. On Saturday, July 15, 2017 at approximately 6-6:10pm, I was standing outside a drug store, finishing a cigarette before entering the store. I looked up at the sky over the park across the street and noticed an airplane, likely a 747, flying southeast and away from me. An object, egg or spherical shaped, perhaps 1/8th the size of the airplane, was seemingly flying along side the plane’s left. The object appeared to be a dull white or light gray in color. The airplane drifted to the right, separating from the object, while the egg/sphere maintained a straight path. I didn’t pay attention to the course of the airplane since I was fixed on the object. My first thought was that it was a balloon, because it was still bright enough at that time of day to make out the shape clearly, and I believed that perhaps it might have been an illusion of perspective. That was until I focused more clearly and noticed it moved in a straight path and at about the same speed as the airplane. It also didn’t have the wobbliness of a balloon in mid air. As it continued to move farther away, it split into two objects that appeared to be equal in size and shape. 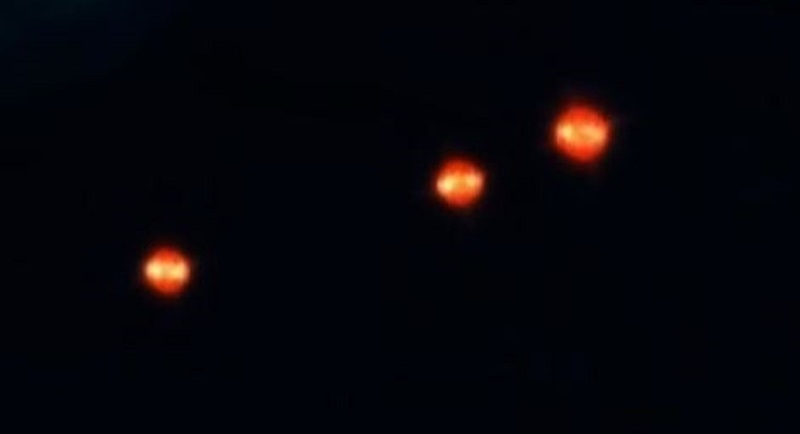 I still thought this could possibly be a balloon, or perhaps a bunch of balloons that separated in the air, but the object never appeared to be a cluster or bunch as it initially looked like a single, clear defined shape. Both objects then flew parallel and equidistant from each other, in the same direction. As they moved further away from me, they became brighter as if glowing, then disappeared or faded away in the distance. I never thought to try to record the sight with my cell phone since I wasn’t sure what I was seeing until it was too late and the two objects were too far for my phone to record clearly. NOTE: The above image is CGI. 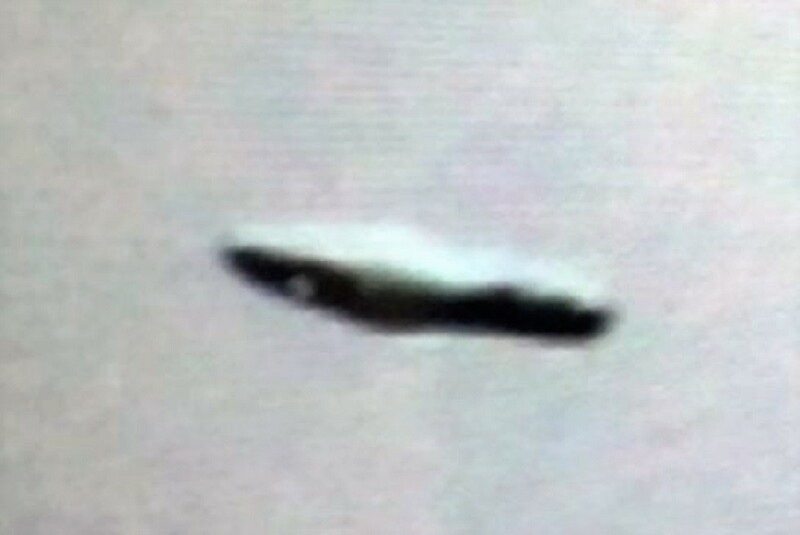 The above case is under investigation by Chief Investigator Ken Pfeifer of MUFON New Jersey. Moving 3 darker objects spotted between approx. Parker/Aurora (perhaps Smokey Hill area). Every so often, objects would rotate and project beam of light. Perhaps 10-15 miles away from viewer. bjects spotted and perhaps 10 minutes total observation. Speculation the objects were there before viewer spotted them initially. Objects initially appear to be somehow connected as they undulated together in the sky as if they were connected, but later one of the objects broke pattern with the other two and did its own maneuver and then returned to the other two, and then the three of them continued maneuvers together. Due to the undulating pattern, it is not thought they were just one object such as a dark plane with three lights (since one did separate from the two and then later rejoin) since the viewer has witnessed planes heading to or from Denver as the viewer knows the flight path over east of Parker Road and basically down E-470 to Denver. Objects went higher in elevation, lower in elevation, east, west, north, and south moving further away and then closer in several different patterns, some looping, some more block-style in nature. Ball lightening ruled out since ball lightening doesn’t last this long. Total movement from time noticed until they disappear into the passing storm that was hitting Aurora area at this time was maybe 10-30 miles. This seems too far for a controlled drone or drones and drones don’t seem to be able to fly in unison like objects. Drones also don’t seem to have such bright lights as object were maybe 10-15 miles away. 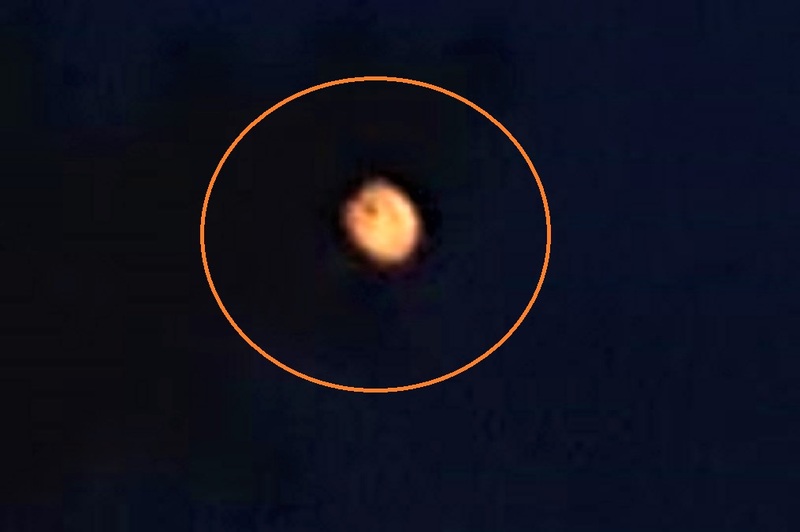 Objects did not appear to be metallic, but some kind of darker material, so doesn’t resemble photos seen of weather balloons, and weather balloons don’t seem to have lights or ones that were so bright as the objects did. Objects were making various loops, appearing to stop in mid-air, rapidly going from left/right (West/East) but were generally following either an Easterly or North-Easterly direction. During this same time, a large storm with hail, rain and lightning was passing from West to East north of the viewers position with the objects between the viewer and the storm. If this was under human control, why were these maneuvers being carried out extremely close to a monster of a storm? The viewer cannot think of any plane, drone, etc, that can make such maneuvers. NOTE: The above image is CGI. Two large UFOs have been seen flying over Chelmsford | Essex Live. 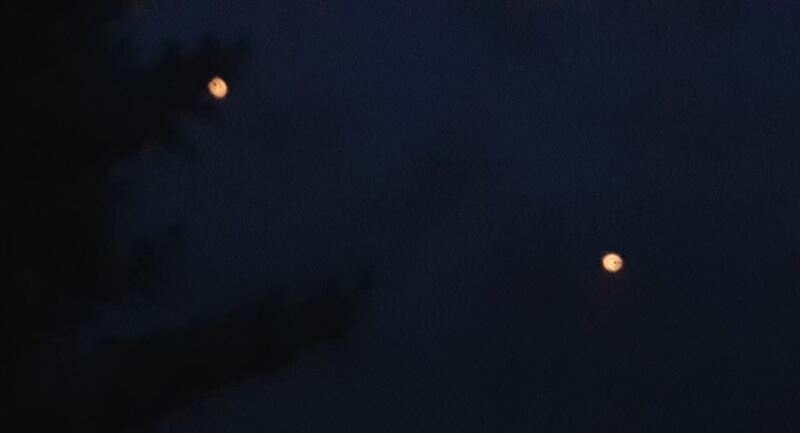 A man has described his surprise at seeing two large UFOs in the sky over Chelmsford. The resident, who did not want to be named, saw the objects in the air over Manor Road where he lives on Monday afternoon (July 17). 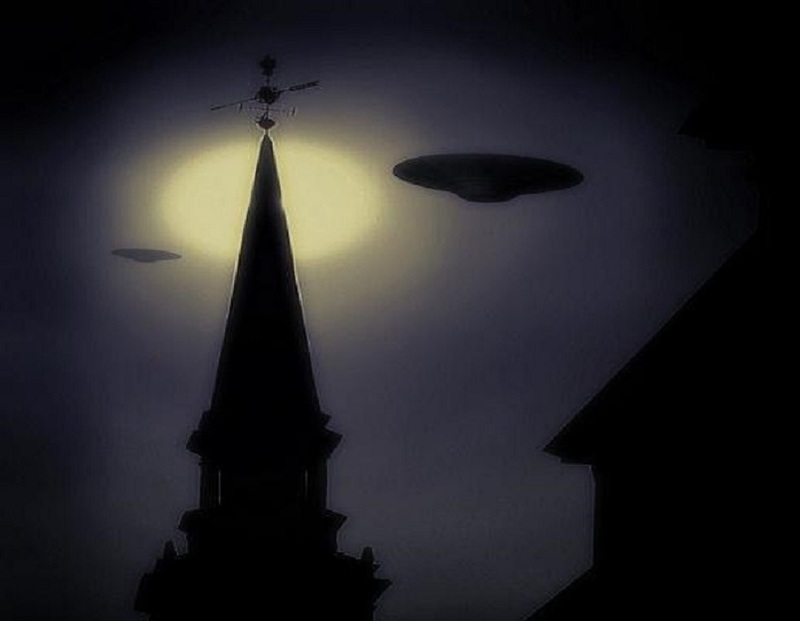 The two UFOs, which were different shapes, were first spotted by a group of people in the street just outside the city centre.The man who contacted Essex Live said he was in his garden when he saw a small group of passers-by staring up into the sky. “When I looked up I saw two large objects in the sky. They were jet black underneath. They were quite big and quite high up. They were sort of rolling over and over in the sky. At first I thought they were bits of a large balloon but they didn’t move like that. “Then I wondered if they were bits of plastic that had got up into the sky but they were moving faster than the wind which didn’t make sense. One was almost a cylinder shape and the other was longer. It was very strange. “There is no way they were aeroplanes. At this point I rushed indoors to get my camera and when I came back they had moved a bit further away but I managed to get a few snaps. AIR FORCE PROCOLS FOR UFO LANDING’S ON BASES. I knew a girl whose Dad was stationed at an Air Force base in our state. At the time, there were two Air Force bases and one Marine Air Station in our state. The teen said he went to see the girl and stay with her family over the weekend. He arrived Friday evening. The family had dinner, then he and the girl decided to walk over to the base movie theater and see what was playing. He said that they saw the movie and were walking back to the family’s quarters, in the company of many Air Force kids and families who also saw the movie. He said that, as they were walking, Air Force Air Police (think they still called them Air Police at the time) personnel began driving down the base housing streets, ordering–yes, ordering–the theater-goers to the nearest base housing residence. A siren or tone was wailing from somewhere. It seems to me that the order included some kind of spoken code. but I have no idea now what it was. With no resistance, the crowd began moving toward the base houses. When the guy, his friend, and several who had been walking near them, came to the house, his girl friend, without knocking, pushed the door open and they all walked in. He said the members of the household were about the business of pulling window drapes closed. The guy said he had the impression that this was a regular occurrence, because the household family was pleasant. The family invited everyone to sit, pulling out some folding chairs, and they were able to accommodate everyone in the group. Seems like the host family served water. Sometime about an hour or so later, the Air Police again went up and down the streets giving the all-clear, and somewhere, the same siren or tone was sounding. What the teen said was that the girl told him that he must not ever tell anyone he knows that he had been involved in what had happened. Like most teenagers, the boy was telling his friends the story. The girl friend said that the incident was either a drill or a real thing. She said that the incident was what happened when UFOs land on base property or nearby, and that these matters were common on various Air Force bases. Because I was with my wife, aunt, and my aunt’s friend, I could not involve the teen in any conversation to ask questions. NOTE: The writer wishes to remain anonymous and will not divulge the location of the AFB. In the past, I have received reports of similar incidents on military bases. 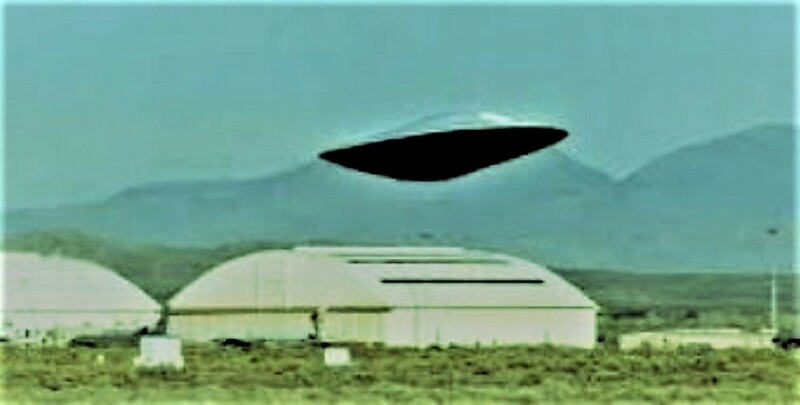 I made a list of AFBs in the US where I have received UFO landing alert reports: Minot AFB – North Dakota Kirkland AFB – New Mexico McGuire AFB (now Joint Base McGuire-Dix-Lakehurst) – New Jersey Eglin AFB – Florida MacDill AFB – Florida Travis AFB – California Lackland AFB – Texas I have also received UFO incident reports at other military installations…two of the most active have been Fort Campbell (Kentucky / Tennessee) & Fort Knox (Kentucky). 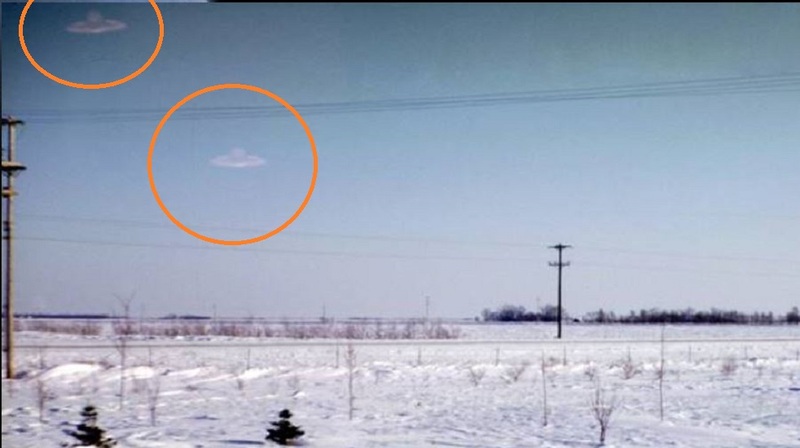 Although it happened around two-hundred miles to the north of the Ota Air Force Base, an incident in the autumn of 1990, also remains unexplained. In the small town of Alfena, a group of school children on their way to class would spot a strange object overhead. According to their reports, the object was saucer-shaped, with four beams hanging down. 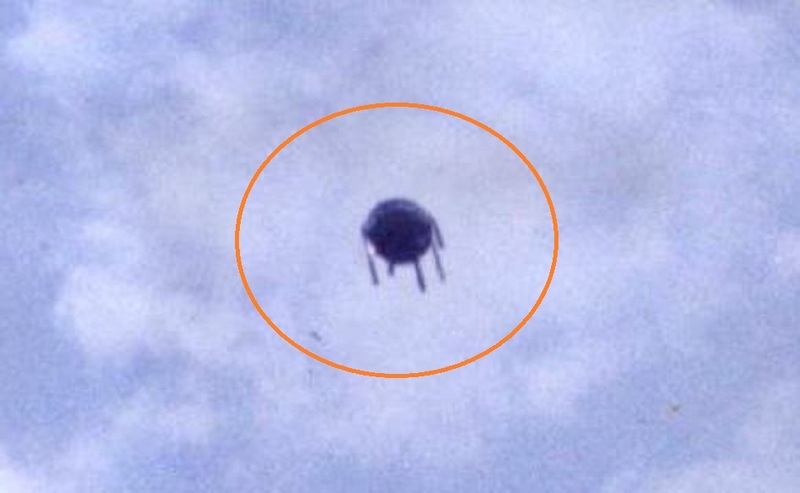 One witness would describe the object as being like a turtle with legs. Some witnesses, extremely spooked by the sightings, began to throw rocks skyward toward the object. One resident, however, photo journalist, Manuel Gomes, managed to take four clear pictures of the craft. Manuel Gomes, sitting at a local diner, was soon told of the sightings. He was a photojournalist and worked with the Morning Journal News. He quickly gathered his camera and rushed to the location of the latest reported sighting. He managed to take four photographs of the object. He was unable to identify the object as anything he had seen before. He turned over his report and photographic negatives to the CNIFO research group, who began an investigation into the events of the day. After about an hour, the unidentified object finally flew away into the horizon, leaving many questions as to its origin and purpose. As researchers began to discuss the sightings, various theories were offered. The photographs taken by Gomes were examined and found not to have been tampered with. What was seen in the Alfena skies was exactly what was on his photographs. The big mystery was: what was the object? Of the many theories offered, the most plausible was that the object was some type of observation device, possibly launched by the military. However, the military claimed to have nothing in the air at that time and location. The case of the Alena, Portugal craft remains unsolved to this day. The morning of 2nd November 1982 would take a bizarre turn at around 10:50 am. 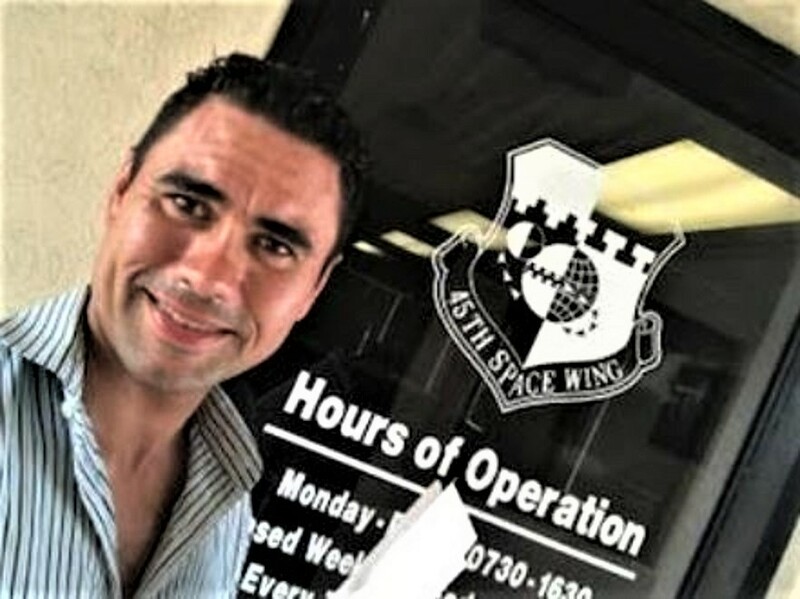 Pilot and flight instructor, Captain Julio Guerra, reported to ground control that a strange object hovered beneath him. Within seconds, the strange craft went from under his Chipmunk plane to directly in front of him. Between the two halves was a grid with flashing lights seemingly shining randomly. The bottom of the two halves appeared to have a dark center spot, possibly the craft’s propulsion system. The object would circle and hover Guerra’s plane for close to fifteen minutes. It would move at an alarming pace, performing moves, not within the capabilities of any known craft. 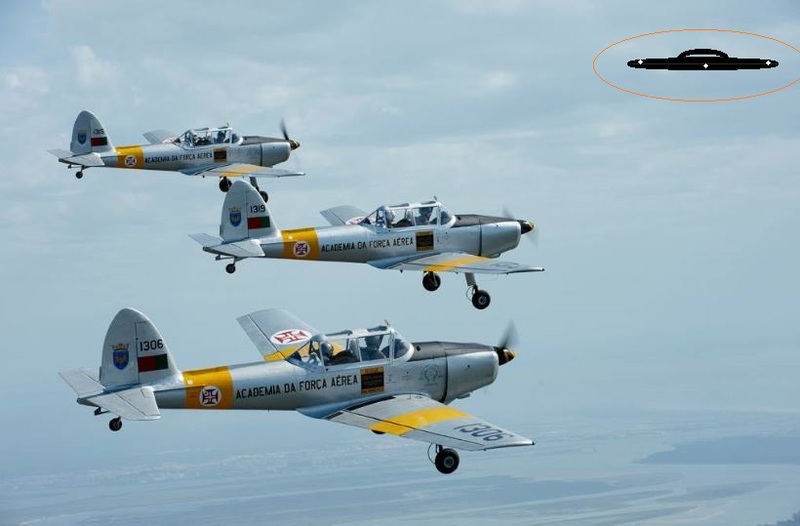 Another Chipmunk arrived into the airspace, with both its occupants, Carlos Garces and Antonio Gomes, witnessing the craft themselves for around ten minutes. It continued to circle around the two planes, dashing in-between them at extraordinary speed. Guerra made the decision he would intercept the object. Realizing that he would not be able to chase down the craft due to its superior speed, he instead headed for a spot where he anticipated it to be. He almost met the craft head on before it swerved upwards and came to a stop right above his plane. Suddenly the object would shoot off from the scene at breathtaking speed. The pilots didn’t see the craft again. Upon landing their planes at Ota Airbase, all three pilots would immediately make reports of their encounter. There was no initial follow-up until the Portuguese Air Force Chief of Staff became aware of the incident. He would take the unusual decision to invite independent UFO investigators to look into the incident. Not only that, he would make the military files unconditionally available to them. NOTE: The above image is CGI. Cold-War era incident that occurred in October 1982. It involved an American RC-135 spy plane that, while monitoring Soviet military operations, came under some kind of surveillance by a large, unidentified and brightly-lit aircraft. The USAF base detailed in the report was located at RAF Troodos on Cyprus, and discussed an incident involving an unidentified aircraft which lasted close to 90 minutes.This is particularly intriguing to me, as I have a story that to a degree is somewhat similar to the one which Micah refers to. It’s a case that also revolves around both U.K. and U.S. authorities. The location is the same: Cyprus. 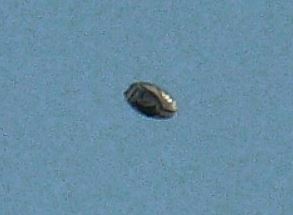 The UFO, in both cases, was described as being large. And, the case brought to my attention occurred in the summer of 1981, just one year before the case referenced by Micah. Also, both UFOs were in view for a considerable amount of time. It’s important to note that I can’t be accused of having fallen for a modern-day hoaxer, as the story was given to me years ago. In fact, it takes up three pages of my first book, A Covert Agenda, which was published way back in 1997, a full twenty years ago.For a period of time beginning in 1981, the source of the story was employed as a radar operator at a particular military facility on the island of Cyprus (RAF Akrotiri). 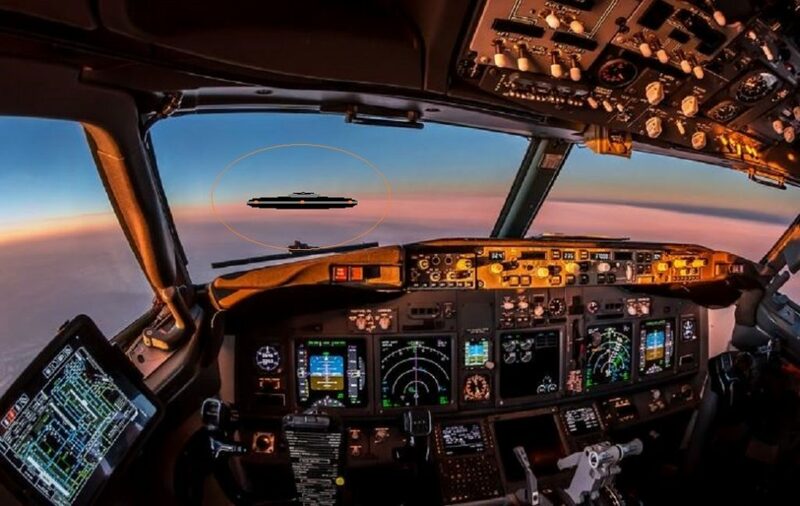 On August 16, an unknown vehicle, described as being vast was tracked approaching the island at a height in excess of 30,000 feet, and at a speed of around 900 miles per hour. It was initially believed that this was a conventional aircraft, although one of an undeniably extraordinary size. This tentative conclusion was quickly blown out of the water, however, when the UFO came to a complete halt in the skies hovering high above RAF Akrotiri for close to an hour. Those who saw it described it as being of a brilliant white color, triangular in form, and somewhere in the region of seven hundred feet in length.Interestingly, the informant who shared his story with me on January 12, 1993 revealed that at some point before the incident took place, the Ministry of Defense had issued what was described to me as a complete stand-down of military planes in the area, in the event that something both unusual and extraordinary might be seen in the sky which it certainly was. Reportedly, a huge amount of photographs of the object were secured. They, and the station’s log-book, were handed over the next day to a man and a woman from the Ministry of Defense, and who had flown in from London. All those involved in the curious affair were reminded they had signed the British Government’s Official Secrets Act. It’s interesting to note that, soon after, according to the informant, a meeting was held at a U.K. military facility called Royal Air Force Lakenheath, located in the English county of Suffolk. Those who attended the classified meeting, specifically to discuss the event, included representatives of the British Ministry of Defense and the U.S. Air Force Office of Special Investigations.There’s no doubt that the most baffling part of the story revolves around the claim that the MoD seemed to have prior knowledge that the UFO would appear in the skies over Cyprus. In light of this, I asked the guy who who related the story to me if he had pondered on the possibility that the object was not a UFO, after all, but some kind of secret, highly-advanced aircraft of a terrestrial rather than extra-terrestrial nature. Given that the craft hovered over the base for around three-quarters of an hour and was around 700 feet in length, he felt that such a scenario was highly unlikely. But, he admitted that he had no answer as to how the MoD knew the craft might appear. After A Covert Agenda was published, Mark Birdsall, the editor of Eye-Spy magazine informed me that he had received a near-identical story years earlier. Maybe, in light of all the above, we’ll soon learn more about what was afoot in the skies of Cyprus in the 1981-1982 period. NOTE: The above image is CGI. Thanks to Nick Redfern. He works full time as a writer, lecturer, and journalist. He writes about a wide range of unsolved mysteries, including Bigfoot, UFOs, the Loch Ness Monster, alien encounters, and government conspiracies. 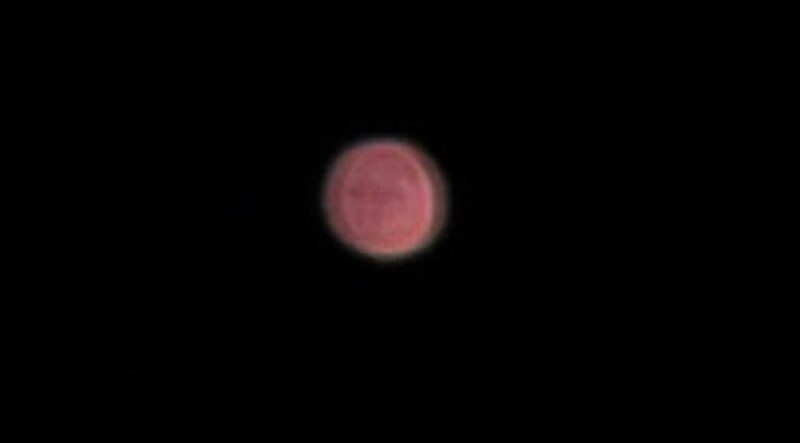 My wife ((wife’s name deleted)) was standing on our deck (south facing) and called me as she was wondering what a single reddish globe light in the sky was. The object came from the south (from Westfield/Eden direction) and traveled towards us. As the object neared, a second object (same color) appeared from the same direction. Shortly thereafter, a third object appeared. They appeared to be ˜globes and moved in a somewhat fast rate of speed. There was no noise. Their movement was very smooth (no quick movements). Object 1 traveled towards us and, at one point, began ascending straight up (it disappeared). Objects 2 and 3 passed the house (to our left look at the objects). As they passed, I noticed what appeared to be a single light (underneath) the object. I could make out a black shape (outline from the light) but could not distinguish what it was. That is, they flew low enough for me to see that it did not have a bank of lights. I am confident in saying that it was not a plane as I did not see wings. The light was bright and did not flicker or pulse. I have seen and heard drones when deployed to Afghanistan. This was not, in my opinion, a drone. I am forwarding a picture captured of object 2 and 3 from our deck. I have other pictures but the size of the file would be too big to email. These were taken from my android phone (Samsung). Note that although it appears to be a ˜globe it is my sense that what you see is the light (under?) the object. I cannot confirm that it was, in fact, a roundish shape. GRAND FORKS, NORTH DAKOTA, MARCH 1967, @ 12:00 p.m. (approx.) USAF officer takes a photograph of a winter scene, with a clear, blue sky, and apparently photographs two objects that may have been hovering nearby. The first reaction NUFORC had to the photo was that the objects might have been so-called lens flares, but there are elements of the photograph, and the orientation of the two objects in the photo, that seem to us to militate against that hypothesis. We post below the statement that accompanied the photo, and include the photograph. We invite comment. Recently we were going through a huge stack of family pictures taken over many decades. We were living in North Dakota at Grand Forks Air Force Base where my father ((deleted; an officer at)) a wing of nuclear armed B-52 bombers always on alert. We underwent a three day whiteout blizzard with 60 MPH winds that buried our house in snow in early March 1967. In between the houses the wind had blown the snow away to Canada since the ground is completely flat as far as the eye can see. One from the front of the house is a picture of me digging out our car. My father then took a boring picture a minute or two later of the flat area between the houses to show that the wind had scoured the open areas clean of any snow drifts. We didn’t think much of the picture at the time. It wasn’t until 2016 when we were going through the pictures that we noticed what looks like two UFOs in the sky over our house! Thought you might be interested because the picture is quite intriguing, to say the least! No one in the family noticed anything unusual at the time the pictures were taken. The picture was taken looking from Grand Forks AFB, back eastward towards the city of Grand Forks, about 20 miles away. We were in the last row of houses on the base so there are no other dwellings in the picture. Supervision place Moscow, Russia Date and time of supervision of 2012-12-01 18:25:00 UTC As looks Spherical Southwest direction. Addition Shooting from the 11th floor the administrator. buildings approximately in 01/12/2012 18:25 NIKON D90 camera, object it was observed within 10 minutes then reduced brightness and I went out at all. The object was noticed over park where never in a night-time happens sufficient lighting. 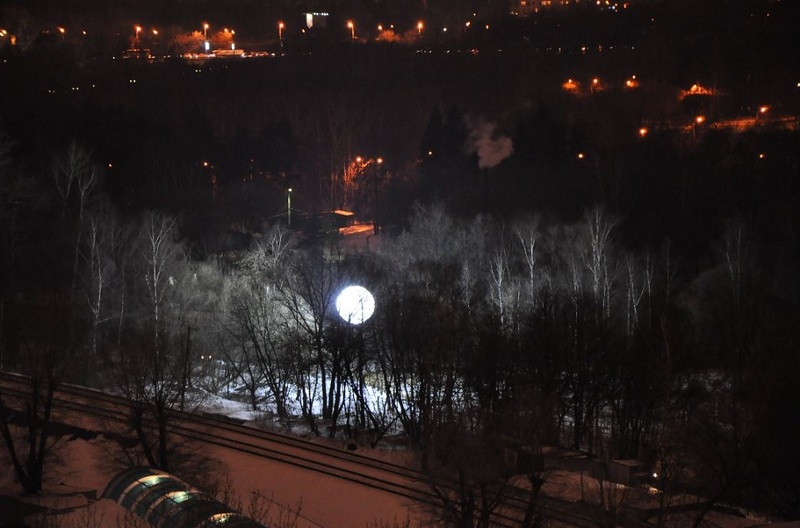 The object was allocated with brightness, shining the park territory. The luminescence was unusually uniform, shadows from the shined trees seemed the strange directed. 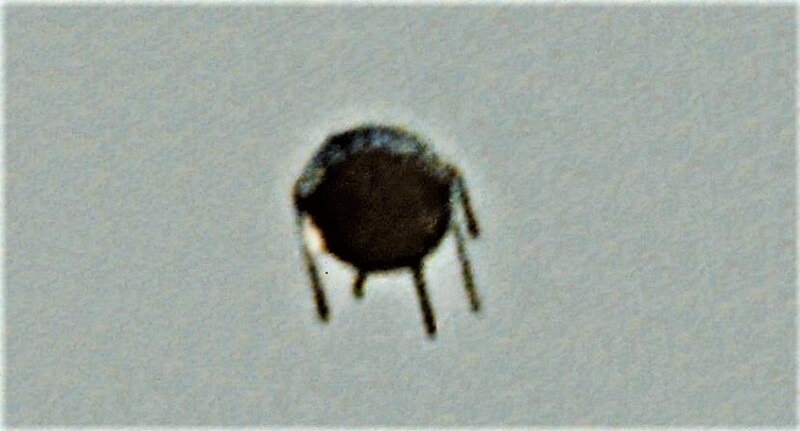 by object consideration in the 28th multiple increase in any additional details it isnt revealed, whether unclear there was it flat or volume, but most likely spherical, the luminescence was absolutely uniform in all surface. The personal perception – seemed that in park the device of the lighting, any emotions not defiant was installed, then assumed that there is shooting or telecasts, but looking in the optical device, didn’t find in a vicinity of any person, the generator, a lighting cable, it seemed strange, in a few minutes light grew dull sharply approximately twice, in some (25-30) seconds at all went out. Not far from object the car stopped, the driver obviously didn’t decide to go further since the object hung over the road. After the object went out, it seemed logical, to see on its place the gone-out sphere, but in the optical device of anything, except trees and the road it was visible not. I decided to check that it was, from a shooting place to a place object of minutes 25 on foot on snow through ZhD an embankment. On a place there was nothing except traces of cars on the road, snow will be not touched, traces only mine, cables of the food, the thawed snow, the scorched branches, a smoke smell etc. wasnt. For a light source of such power it seemed unusual. What’s important, Greer insists, is that if the government came clean with what it knows about E.T. technology, we could upgrade the planet. Not only would we wean ourselves off oil and other fossil fuels, but we could scrap nuclear power and implement clean, cheap, safe energy that any country or culture could afford. One problem: That might weaken or topple the corporate-government power structure that controls our fuel and energy systems, mass-produces war weapons and keeps a tight rein on the global economy. So how to shine a light on a shadowy consortium that promotes war while fostering scarcity, making gas prices astronomic? So why not get these documents to the President of the United States? Been there, done that. “Hillary and Bill spent hours poring over them,” Greer claims a close friend of the Clintons reported, adding that when Clinton took office, he wanted two questions answered: Who killed Jack Kennedy? and What’s going on with the UFOs? It didn’t take long for Clinton to realize, says Greer’s friend, that he had a much better chance of completing his term if he followed his own “Don’t ask, don’t tell” policy. In 2001, Greer held a press conference at which many witnesses came forward, but it was eclipsed by 9/11. Since then he’s gathered more insiders willing to reveal what the government won’t. So if you’re tired of holding hands with the Saudis, or you think it’s time Earthlings had access to that cool, antigravity technology that allows UFOs to dodge our weapons (most of the time), check out DisclosureProject.org. Washington may not want to listen, but we certainly do. It was a hot summers day, and I was sitting in the garden, outside my building, when I noticed something shiny in the sky, I knew it was not type of airplane, because, I live under the flight path to two airport, Gatwick to the South and Heathrow heading to the North. I always take my camera and binoculars outside day or night. I took out my camera(old TZ8) and zoomed in and started taking pics, I managed to get about 5/6 pic, when I looked at them, I was so so shocked at what I was looking at, I decided, I was not staying out side anymore. 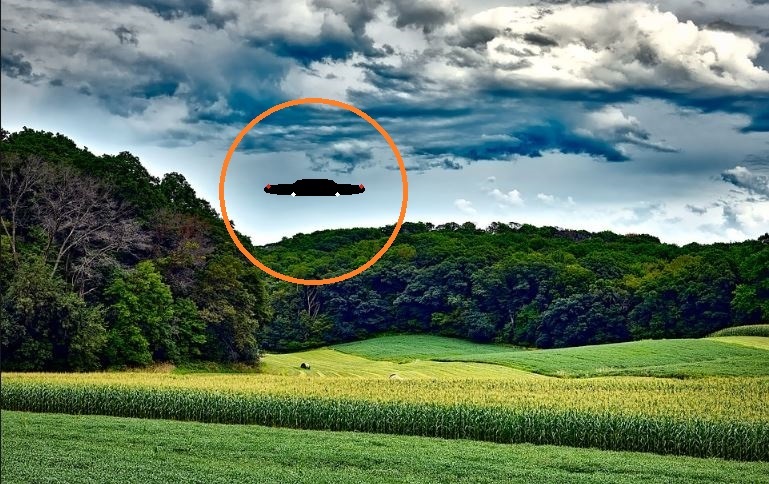 I had/ have a Instagram page( its not in my real name), and later that evening I uploaded the pictures and told my followers, that I saw a UFO that evening. The UFO disappeared into the clouds and that was the last I saw of that one. 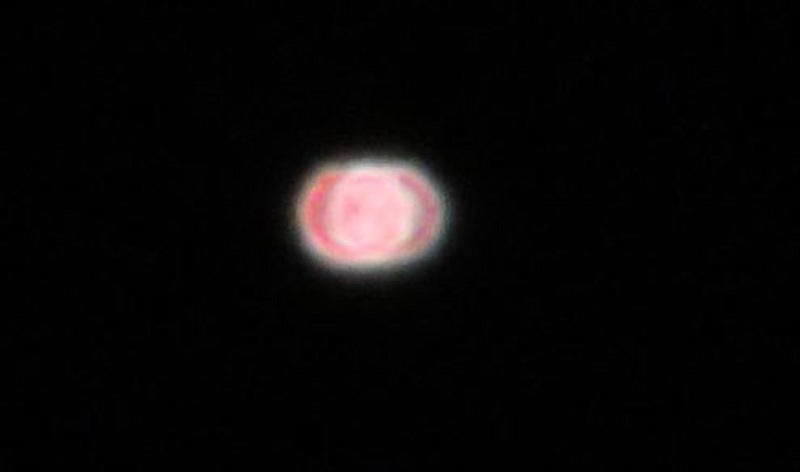 The next day,I went back into my garden to do some reading,when I noticed, something red, in the sky,I took my camera out of my bag and started taking pics, I only managed to get one pic of this UFO, because it was moving so fast After seeing this UFO, I packed up and went inside, because I was getting scared. Since then,its been hell. I now have UFOs, coming over me and my building, every time I go outside to stargaze. I have pics and videos to prove what i’m saying is true, I also have witnesses who have seen UFO come and stop over me.